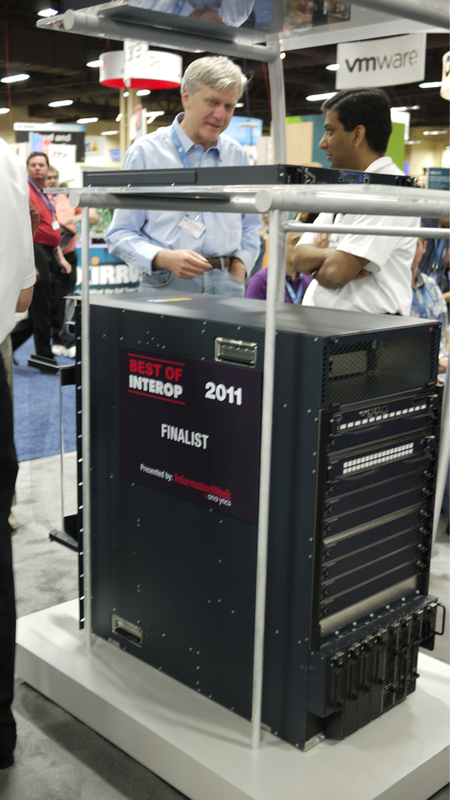 I took these photos of the Juniper QFabric unit at Interop today. First of all, this is really big. I mean, physically, it’s HUGE. Maybe this photo will make it more obvious just how large this unit is. I’m told that this is the first model to be released, and there will be smaller models available with less slots for smaller fabric networks. And this is the rear of the unit. 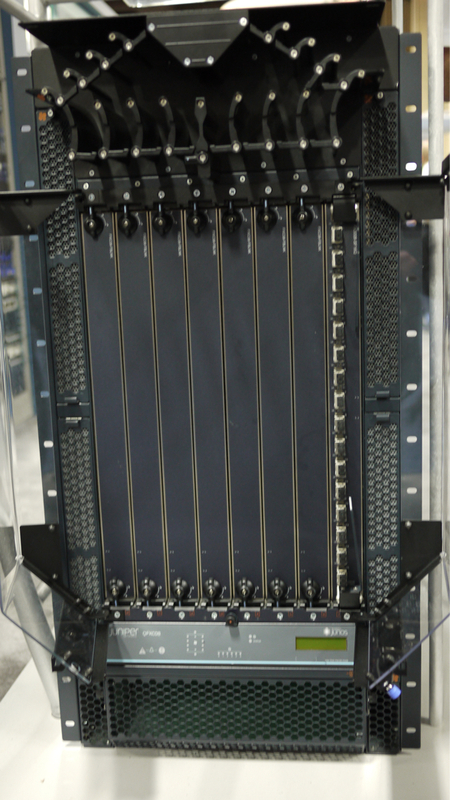 The switch at the top is the edge switch where all the intelligence is, and when connected to a QFabric it effectively becomes “line card”. The QFabric is not intelligent, it’s actually a big “switching engine” that replaces the backplane in a chassis switch. Frames and packets are routed or forwarded by the edge switch, not by the QFabric. The photo of the management unit didn’t turn out – but it acts as the “Supervisor” or processor engine for management and configuration. Slots on the rear of the midplane for switching fabrics. Lots of them for fat clos tree. And multiple power supplies. Dang! Get a couple of those paired for redundancy and you can kiss a whole cabinet goodbye. Looks like it generates some gnarly heat too. Good lord man! That makes the 6513s look like quaint little boxes. Think it’s even bigger than the Nexus 7010s. 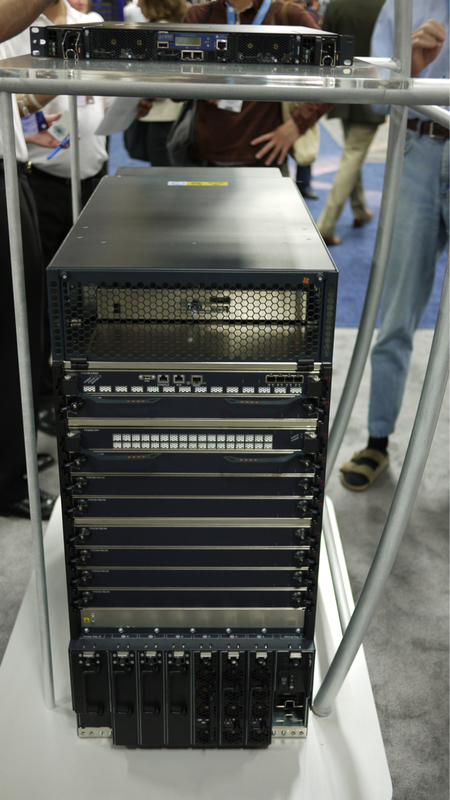 Simply epic… I don’t want to have to rack one of those! Based on the style of sandal, color of sock and the obvious designer blue jean he’s modeling, it can be none other than that data center switch networking guy, Andy-what’s-his-name.